Welcome to Rome! We hope the following guide is useful to you. Enjoy your stay. Accomodations in private homes are not available. There are thousands of youth hostels, bed and breakfasts and hotels in Rome. The most central area to stay in is the Via Nazionale area (close to the Termini Train Station). It is close to a synagogue, to the main tourist attractions and to local transportation and to the Jewish Quarter. Another great area is the Jewish Quarter (Ghetto) area which is behind the Great Synagogue on the Tiber river and in an area that has many Kosher restaurants and mini markets. The Piazza Bologna area is also convenient, there are two synagogues in the area which follow Libyan Jewish ritual, it is next to the B subway line which takes you to Termini in 3 stops and to the Colosseum in 5 stops. There are also some Kosher establishments in the area as well. And of course there is Chabad Piazza Bologna which hosts many guests for Friday night meals. Below is a list of hotels for your convenience, please note that Chabad has no affiliation with the hotels listed. This is merely a courtesy service offered to the many tourists who use our website as a travel resource. Hotel Viminale is on the same block as the synagogue at Via Cesare Balbo 33. It is a three-star hotel. The Home in Rome, owned by a Jewish couple with a kosher dining room and a five minute walk to a synagogue. My Guest Roma a Kosher B&B and an apartment for short term rentals, ideal for individuals and small groups. Located 5-15 minutes from the Shuls, offers dining room for Shabbat meals and Shabbats clocks. There are no Kosher symbols here in Italy although occasionally you can find some products with the OU or OK certifications in some supermarkets. Soft drinks and fruit juices except for tomato, tropical mix and grape juice, are ok to drink. Kellog's cereals are ok as well. There are a few Kosher mini-markets in Rome where you could stock up on basics. They sell cheeses, salamis, matzah, wine and other products with kosher certifications from all around the world. There is a Kosher Gelato store in the Jewish Quarter at Via Portico d’Ottavia 1b, it is chalav yisrael (except for whip) and is under the hashgacha of the Rome Bet Din. Pareve gelato is also available. You can find a list of kosher restaurants in Rome at this link. Of the restaurants listed none are glatt kosher but some have frozen Glatt meat, the dairy restaurants Baghetto Milky and Yotvata are chalav yisrael. Please note that Chabad does not endorse the kashrut of any of the establishements listed. There are four mikvaot for women in Rome. Mikve Eliahu Fadlun, state of the art with four luxurious preparation rooms, the Mikva itself is according to all opinions (Hashaka, Zria, Bor al gabei Bor plus all the water in Mikva is rainwater), located in Via Famiano Nardini 15, open every night at nightfall for an hour, for appointments please call 39 392 255 8870. 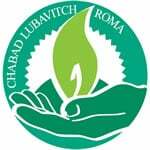 Mikvah located in the Synagogue at Via Cesare Balbo 33 near the Termini station, the contact is Mrs. Gabriella Del Monte 06-68400651 or 347-7169619, during July and August it is necessary to call in advance. Mikve Sara, is located in the Viale Marconi area, Via Giuseppe Veronese 119, call Mrs. Simonetta Moscati for an appointment 348.339.3577. Several restaurants host pre paid Shabbat meals as well. Usually BellaCarne and Yotvata, it's always best to check directly with the restaurants. Jewish Quarter known as 'the Ghetto'. Sunday through Friday at 7:40 am, Shabbat morning at 10:00am. You can find a complete listing of synagogues in Rome at this link.